This entry was posted in Baltimore Orioles, Baseball, Baseball History and tagged Boston Red Sox, Fourth of July, Oakland A's by Jackie, The Baseball Bloggess. Bookmark the permalink. Editor/Husband has a good point. Would an audience sit through a movie if it was six hours long? Is baseball defeating itself with these long, long games? Would even a fan enjoy the O’s doubleheader tomorrow if it went on for12 hours? (Having never been a serious student of the game, perhaps that was a silly question to ask.) 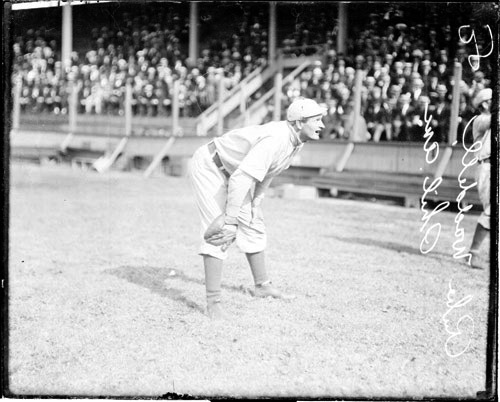 Anyway, thanks for the intro to Rube and the interesting info on Cy. Keep your words coming! Oh, Gloria, et tu? But, see, unlike a movie, no one expects you to just “sit there” for six hours. Baseball isn’t a passive spectator sport at all — there is dancing and stretching and clapping and standing-up-and-cheering to be done! Granted, six hours is a bit much, but today’s average game is really only about 3 hours, which is just a wee bit longer than today’s blockbuster movies. And, no one shushes you at a game when you stand and cheer. As for that six-hour game, we did watch (all of it!) on television, although I probably was catching up on a few chores and other tasks as it went onward. I remember as the game carried on, that people reluctantly started to file out … more and more of them. It was getting late. It was a beautiful day. It was the 4th of July. And, here we all were … trapped inside. And, the locals had places to go, barbecues and picnics and fireworks. But, not us, we stayed. I was sure my O’s would win. Just sure of it. No matter how dire the game, no matter how lost, I’m always just sure we could be back in it … if only. What a wonderful story for the Fourth! Indeed the world would be better if it was all baseball and yoga. And barbecues and picnics and fireworks. I can’t agree our predecessors were dangerous if their celebratory firing of revolvers resulted in no injuries. Back then probably most of the gentlemen in the stands had at least a pocket pistol on his person as surely as his pocket watch. Not to mention the ladies like Mrs. Dallis of my childhood who always traveled with her little silver purse revolver Hard to comprehend the stamina of those pitchers;seems strange in a way that no one of record ran four-minute miles back then, but modern athletes seem to be setting records all the time–except in baseball pitching, where a nine inning game is a novelty. I love baseball! Thanks for this story. 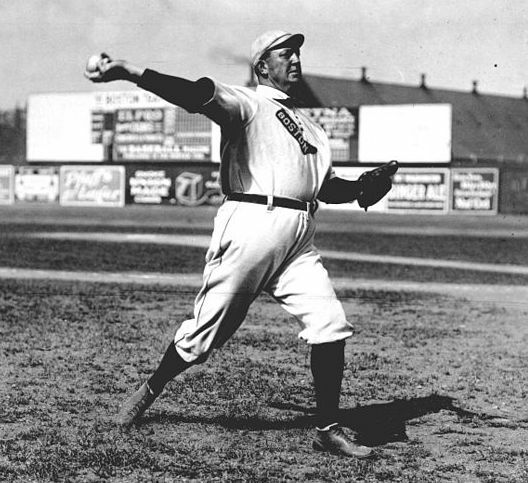 I wonder what Cy Young and Rube Waddell would say about today’s 100 mph flamethrowers? And, pitch counts! They would just shake their heads in wonder, I guess. Thanks so much for stopping by … Happy 4th of July!